In this overview of one week on TV and internet sites, we are taking a closer look only on two most popular TV channels and some chosen internet sites. The two TV channels, which we observed already last year, are comprehensive since they air news programmes, documentaries and the most of other standard programmes of entertainment, sports, etc. However, only in the case of national non-commercial channels, some contents in educational formats make part of the programme. Let us just remind the readers, that the National TV of Slovenia with its three programmes – one of them is so called parliamentary channel – is the most important resource for any use of the visual material in education. Especially for history teaching the production of content in genres such as documentaries, interviews and talk shows, is important and highly useful. Only some content from the history of WW 2 and recent history could be a bit demanding for classroom usage, due to sometimes politically biased approach by editors and authors. In such cases teachers are advised to use the best of their knowledge about history to suggest a balanced interpretation for their pupils as well as to develop pupils’ skills for a critical reading of the constructions of images and narratives. The news programmes of both televisions play important and special role in presenting, among others, contentious historical issues. We would like to point out again for the teachers of history that most of the national TV’s own production is easily accessible in the internet archive. Therefore, this archive is the most comprehensive and accessible resource for teachers of history. Of course, teachers of other subjects (i.e. art, civics, media education) can find a lot of interesting content for their students as well. With an appropriate internet connection, the necessary technical equipment and with not very extensive preparations teachers can use the archive to make their presentations in the classroom more lively and the content more “tangible”for students. Commercial television POP TV – due to its emphases on entertainment and sports programmes takes the biggest market share in audio-visual area. Slovene legislation on media requires from media organisations, which operate on the national level, to air a certain amount of programmes of their own production. The share of its own production must cover 20% of daily broadcast, from which at least 60 minutes should be broadcasted between 18.00 and 22:00 hours. POP TV meets these requirements by producing the news bulletin and various entertainment programmes. Any content that touches upon history is to be found mainly in the news programmes. From the point of view of “serious” journalism this content is usually handled quite lightly and superficially. The exception is sometimes weekly programme Preverjeno (Verified), which includes chronicles from the different walks of social life. However, also in this programme history enters into various narratives as a controversial matter or as a part of “infotainment” or even ethically questionable sensationalism. Thanks to very good cable network the global programmes like History Channel and Viasat History are available to Slovene public. Cable systems also provide Slovene subtitles for documentaries and other content, which is displayed by these channels. In the week from April 2nd to 9th we monitored the first and the second channel of the national Television of Slovenia. The monitored shows were “Good morning”, First news, Evening news, Slovenian Chronicle, Late News, Culture (the special block after the second evening news), Magazines Utrip (Pulse) and Zrcalo tedna (Mirror of the Week), Infodrom (News for Youth and Kids) and documentaries. However, due to the reasons explained further down, we didn’t find the content for our reporting in all of them. This time we concentrated on the potentially best resources for history teaching on the internet. In this sense we cannot over-emphasise the value of the national TV, which makes great contribution to our aim by keeping a full archive of its programmes. The archive is totally open access – users must only register for free. The week, in which we conducted our Observatory, was so called ordinary week, i. e. the week without any national or international memory days, without formally recognised important anniversaries and, accordingly, without any celebrations and commemorations. Such events usually catch the attention of media. In their (audio – visual) reports and often direct broadcasts they tend to present the historical context. However, in a week such as the above mentioned week in April, these kinds of reasons for preparing, presenting and discussing a historical content were almost non-existent. Does this mean then, that such weeks are days without history at all in the media? The answer is not a simple “yes or no”. Of course, lacking such direct pretexts, media news and most of other programmes contain much less references to history in the ordinary weeks than they do in the days saturated with history. Yet, as we are reporting after our scrutiny of the programmes of two television broadcasters, obviously the times entirely without history in the media do not occur. There are always some national or international current events, which trigger at least some indirect historical reference. This holds true, above all, for news programmes. In other programmes, whether documentaries or feature films, glimpses of history come to the surface: sometimes world history and sometimes just micro history or some memories, barely corresponding to the notion of history. On the other hand, we astonishingly discovered that during the observed week the references to two important dates were completely absent. That is, April, 5th and 6th. The Observatory was conducted in the week, when these two important dates could offer a cue for the insertion of historical topics in the television program. On April 5th 1992 the siege of Sarajevo began and the war on the territory of the former Yugoslavia soon expanded. The second important date is April 6th, 1941, when the Capital of Kingdom of Yugoslavia, the city of Belgrade, was bombed. Later on, the country was occupied by Nazi Germany and its allies. From this we could conclude that the historical topics on all Slovene TV stations appear without any or very little prior deeper reflection and plan. Hence, more or less, they have chosen random events with only weak references to the historical events, while – as we pointed out – they simply ignored prominent anniversaries, which are not marked by celebrations. During the week between the 2nd and 8th April 2018, we have observed different blogs on different web sites. Since this week was a “normal week” without any public holidays or special remembrance days, also on the web we discovered less posts, which were in any way connected to the national and international history. Similarly, as before in previous episodes of our monitoring for the Observatory, national history was the primary subject of our scrutiny. We were looking for the themes that contained historical facts or the descriptions of events from the past, or for comparisons between the present and the past. We can say that we found fewer topics about the national history this time than in the previous Observatories. Obviously, our previous observations of the websites were concentrated on the memorial days or celebrations, which were connected to the national history. In this week we focused on the blogs and other posts published on the RTV SLO website, blog Fokus pokus, Portal Plus, some random blogs and social media, such as Twitter and Facebook. We found out that there were not so many blogs, which would talk about national history. At the same time, we found out that there were several blogs, which were open and had their own website, but many hardly published anything at the time of our observation. We also need to point out that the topics we found are similar to the ones we found last time. Authors publish a lot about Janez Janša (the leader of the right wing opposition political party) and about the advantages and disadvantages of socialism and communism. They also publish a lot about Tito’s “dictatorship” and Yugoslavia. The topics of their writing are often endlessly repeated as the bloggers only adjust them to the current affairs. What follows, are our brief reports about the days of the monitored week. What we wrote above about the presence of historical contents in such an “ordinary” week, is the reason that for some of the monitored days there was practically nothing to report on. When reporting about current events in the world affairs of the day, concerning the relations between Russia and USA, a hint about the history of the cold war times was given. The report very briefly confirmed a comment by the Russian Minister of foreign affairs Sergey Lavrov, who said that “the cold war had some rules” [as opposed to the present, when in his view no rules are respected]. In a report on the tradition of Easter celebrations in Bela krajina (the south-east of Slovenia) the report mentioned that this specific folk celebrations were banned for a few years after the end of the war for liberation, when the Communist Party took over the government. The report showed in a usual manner of filming such events, some scenes of the traditional rituals, which are nowadays performed regularly. The documentary about the history of the city of Ljubljana presents the history of Ljubljana through archaeological findings in the time period from the Antique settlements to the Medieval Ages. Findings prove that the beginnings of the medieval city were at least 100 years older than it has been believed so far. The documentary is a collage of recordings of archaeological findings and their conservation as well as of a variety of visual material, which is mixed with statements by archaeologists, historians and other experts involved in the reconstruction of the image of Ljubljana in past periods. The explanatory notes and final narration are provided in the off voice. 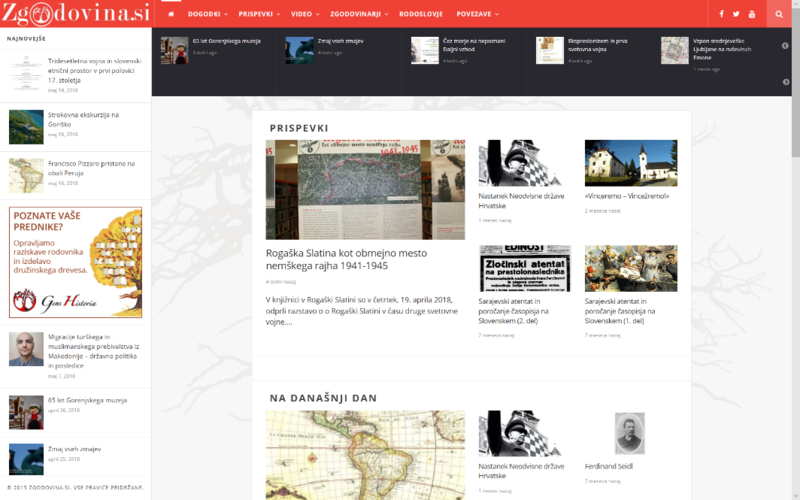 On this day, we came across a publication on RTV Slovenia web site (MMC portal), which referred to national history. It mentioned tax payers and the victims of war. The publication was about the financial compensations, which the victims of war should be paid. It especially referred to the rights of the war victims and the assets, which victims lost. At the same time, the author of the publication pointed to the group of war victims, who were not entitled to compensation, even though they lived in a very bad conditions after the war and suffered many years in poverty. The author referred to the welfare state under the rule of law what Slovenia was supposed to be. Besides the above mentioned publication, we came across some historical topics elsewhere on the web, which had not been connected to the national history. One of the interesting publications was about the so called Soviet telephone, where the author asks who was the first person, who discovered a telephone? Was it a Russian or an American? On the website zgodovina.si, we came across a publication about a magazine Slovenski narod. On this day the first volume of Slovenski narod was released, which represented the Slovenian liberal political movement. The publication describes the conditions in the field of press in 1880s. The only social media that wrote about national history on this day was Facebook, where we found an invitation to an exhibition about the river Sotla and its territory, which was a borderline river between the German Reich and Independent State of Croatia, between the years of 1941 and 1945. In the format of standard TV-news a hint to the history of the relationship between the Balkans, and specifically Serbia, and Russia was a part of a seemingly “fake news” that presidents Trump and Putin would meet in Serbia. 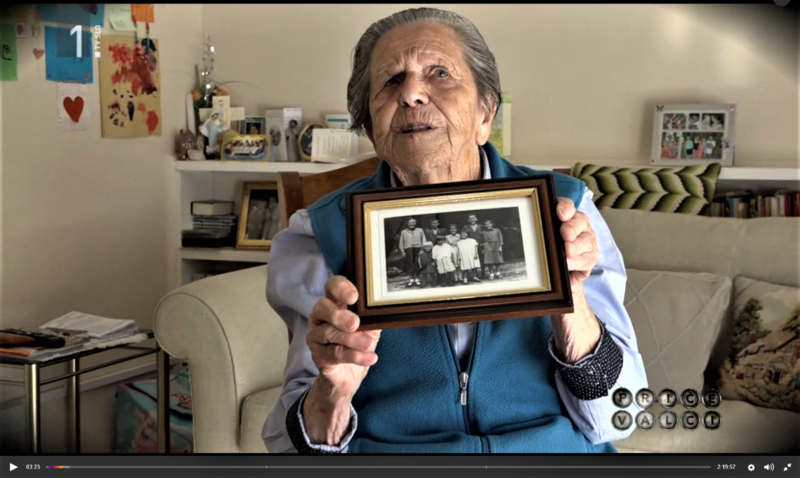 96-year-old Francka Anžin and 97-year-old Ani Anita Pleško, who moved to Melbourne, Australia, after the WW 2 were interviewed in this edition. Francka was born in the in 1922 in a family of eight children. In World War I, Father fought in Galicia and often told children about the stories of that time… Her brothers were captured by Germans and they experienced various camps during the war. After the liberation Francka did not want to live in the communist regime. After her mother’s death she moved to Australia, where she has been actively involved in the Slovenian community in Melbourne. Francka Anžin, showing an old photograph of her and her siblings. Anita Ana Pleško, born in 1921 in Črešnjevac near Slovenska Bistrica, was born in a family with four children. She says that her father fought on the Soča front in World War I and even commanded a group of soldiers. Although the family helped the Partisans, the new rulers seized their property. Also Anita had some other troubles with the new regime and she managed to move to Australia with the whole family. This particular edition of the endless (week upon week) series of interviews was a bit more vivid and, consequently, interesting than the most of other such conversations due to the fact that the both interviews were shot in Australia and some exterior shots of the houses and surroundings in Australia were added to the usual close-ups. On the RTV SLO blog we came across one publication connected to national history and one publication connected to Russia and the poisoning of the Russian secret agent related to similar events from the past. The authors of the comments wrote that this events show, how some nations want to line up Europe today, and how they wanted to do it in the past. The second publication was about the “communist” Liberation Front and its attitude to the Slovenian nation. The author writes about the “victims of communism” and about the communist intimidating of people. The author assumed that communists wanted to subordinate the nation and he mentioned some of their wrongdoing. The users’ comments were somehow different, because they mostly commented that the blog was “fake” since it painted all wrongs, which happened in Slovenia, as a “communist crime”. On the website of the blog Fokus Pokus there was a publication about some historical facts, but not about national history. It referred to the chemical poisoning of the Russian agent, and later on similar historical events. We did not find any publications connected to national history on any social media this particular day. In the brief afternoon news bulletin the reporters remembered that fifty years ago Martin Luther King was shot. A brief widely known clip of his “I have a dream” speech was shown. King was only very succinctly marked as a fighter for civil rights. This news program characteristically treats history quite superficially. When it pays some attention to it, the editors and journalists favour some particular topics and they usually don’t open the social, political and cultural contexts. On this day, they have chosen to report that 135 years ago in Maribor the first electric light was switched on, which happened only four years after Edison’s invention. This bit of news used some picture post cards of the city of Maribor and some archival shots of the early light bulbs. After the main part of the evening news without any content related to history, in the section of the programme for local events all around Slovenia, we saw the news on the exhibition of Technical Museum in Bistra at the 135 anniversary of the first electric light in Slovenia. A bit more extensive presentation than in the case of POP TV explained that the first light bulb was switched on in Maribor in a steam mill on April 4, 1883. The footage from exhibition was accompanied by the comments of experts and historians. 50th anniversary of Martin Luther King’s assassination was presented more extensively that in the afternoon news. News consisted of some archive footage of shooting on Martin Luther King. The emphasis of the contribution was on the current position of African Americans in the US today than on the historical context itself. On the RTV SLO website there were no publications about national history on this day. A recording of the song to je moj dom (This is my Home) was published, but there wasn’t any response or comment on the recording; for example, in relation to patriotism or the history of our country. On the Portal Plus we came across a publication about left-wing vanity, right-wing stubbornness, and the liberals without any future. In the publication the author writes about the current elections, but we came across comments connected to national history. The comments were about socialism and communism. The comments referred to the establishment of the left-wing government, which was supposedly constituted in the second half of the 19th century. Angel Polajnko wrote that the basic rights for workers were already written back then and that today the goals are lost; we are, as he sees it, “losing the class, which did put up the basic demands”. On the 4th of April 1949 the alliance NATO was established. On the portal zgodovina.si a publication appeared, in which the author described how the NATO was established, and how it developed. The report about the ceremony at the monument of Red Army soldier, who fell in the final battles of 1945 on the bridge over the Mura River in Dokležlje (North-East of Slovenia) was aired. The commemoration was given by the Slovenian Federation of Partisans, the Mayor of the municipality and the deputy of the Russian military attaché, Lieutenant Colonel Sergei Banin. The report was a typical professional product, containing a panoramic view of the scenery and some close-ups of the key speakers without commenting and explanations. The Battle of Vis took place on 20 July 1866 in the Adriatic Sea near the Dalmatian island. The event was a decisive victory for an outnumbered Austrian-Hungarian Empire force over a numerically superior Italian force. It was the first major sea battle between ironclads and one of the last to involve deliberate ramming between ships. 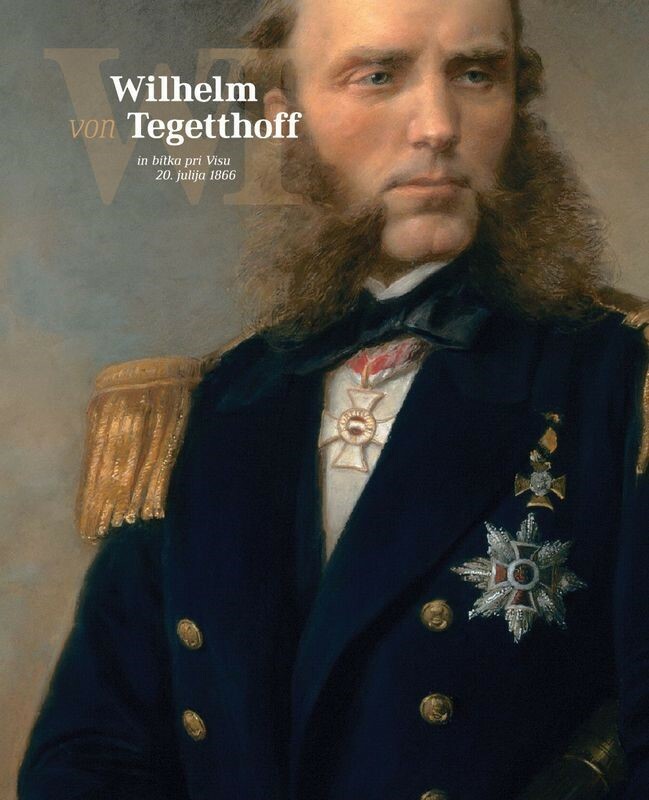 The main motif for the mentioning of this battle in the slot for local news was the publishing of the book and opening of the exhibition on the admiral Wilhelm von Tegetthoff at the Maribor University Library since the winner of the battle was born in Maribor. We came across two publications on the RTV SLO blog connected to history. In the first one, there was a recording of the Russian president Putin, who talked about kindness and boldness that Slovenia managed to preserve from the communist times. The writer connected the current events to those from the past in a sarcastic manner directed mainly against communism. In the second publication the author writes about Tito’s “monarchy” and the “promotion” of Partisans to good positions in the society back then. The author stressed the doubt in Tito’s and Partisans’ legacy. He was critical about the role that the BBC had in praising Tito and the communist side during the war. In his view the same happened after 1945 through preserving the “Partisan myths”. The same as days before, we came across a publication on the Facebook page of zgodovina.si. It was again an invitation to the exhibition with a description of it. We are mentioning it, because the exhibition of photography featured a German diplomat, who had his offices in Slovenia. He occupied himself with the question of borderline areas. 50th anniversary of Martin Luther King’s assassination was dealt more exhaustively in this framework than in the news programmes. Fragments from documentaries, which recorded some of the activities of King’s movement and some fragments from brief statements of King’s collaborators, friends and relatives (including the speech of his granddaughter) were added. There was also a brief comment on the historical meaning and importance of the movement for social right. On this day we did not come across many publications connected to the national history. Actually, we found just one. On the Portal Plus there was a publication about democracy. It was about the researches, who measure the state of affairs in democracy. The question about the attributes of democracy in the past years and now was raised. In the foreground we noticed a doubt about data credibility, reliability and integrity. News on the memorial ceremony on the day of the Slovene-American friendship in Andraž nad Polzelo on the 74th anniversary of the downing of an allied aircraft, which was shot down by the German army on March 19th 1944. Eight soldiers died, two were captured. Contribution contained the footage from the ceremony, without any documentary images. We didn’t find any publications connected to the national history on any blog we observed on this day. We also checked social media, where we searched for key words such as: history, Slovenia, socialism, communism, century, etc. There were no hits or links. Obviously bloggers take some rest on free days. This edition of news brought a reference to history, which was contributed by Matjaž Gruden, who is the Director of Policy Planning of the Council of Europe. The main topic of over four minutes long conversation was the phenomenon of populism, its historical forms and dangers, which this political occurrence represent today. The documentary shows particular places in Slovene countryside, where towers, which enable some spectacular views, were built. On each location the local guides narrated, among other details, about the history of the location. These – not systematically edited – bits and pieces from history contained information about Turkish invasions in 15th and 16th Centuries as well as stories from the both World Wars in the Slovenian territory. The celebration at the geometric centre of Slovenia marked the memory of April 7, 1848, when Lovro Toman elevated the Slovenian flag for the first time on Wolfova Street 8 in Ljubljana. A special edition of interviews featured this time Boris Pahor, 105 years old Slovenian writer from Trieste, Italy. The author Jože Možina shot a very long interview, which was then shown in three parts. This day TV Slovenia repeated the first part, in which the writer talks about his childhood and especially about the first manifestations of the Italian Fascism in Trieste. Pahor remembered the burning down of the Slovenian “Narodni dom” (National Edifice of the Slovenian minority). The weaknesses of this programme were in this case even more acute than usually. As some critics in the Slovenian press observed, the static very “close close-up” on the face of the writer seemed very intruding, author’s voice in the off outside the frame was too suggesting. There was almost no visual movements in this edition to speak of. Therefore, this interview could be useful for teaching of history, but in a rather limited sense – only with exhaustive comments by a teacher. The portal Fokus Pokus published a historical overview of the diplomat Bojan Grobovšek and his view on life in Trieste, Vienna and Ljubljana in his book Trst, Ljubljana, Dunaj in širni svet –Trieste, Ljubljana, Vienna and the Wide World. The distinction was made between the lives in these cities, from 1945 on. The author described the events in the Soviet Union, in Yugoslavia, Tito’s leadership, State Security Administration etc. At the same time, the publication represented a short insight into the Grobovšek’s book. The portal zgodovina.si was more active on its Facebook page than on its website. On their Facebook page they publish every day some contentg on important events in the past. For example, on the 8th of April 1692 Giuseppe Tartini was born in Piran. They published the material from his biography and his work.